What are the processes of creating an audio and/or multimedia guide and how does tonwelt guide museums through them? 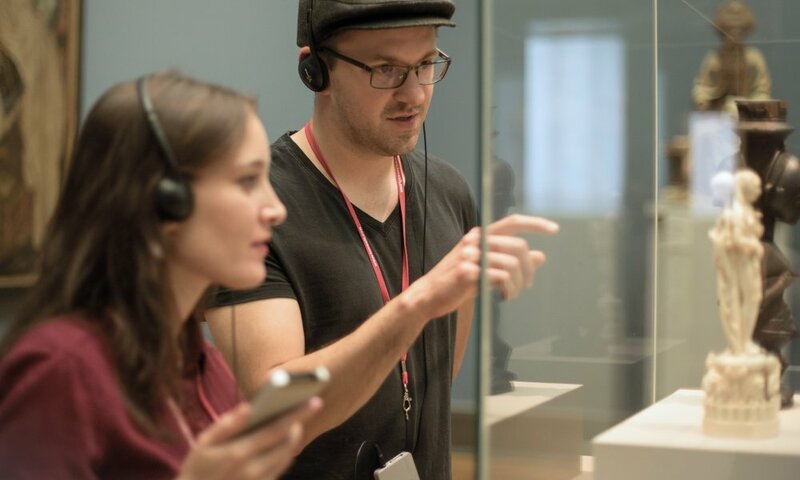 Ideally, the audio guide is considered an essential part of the visitor experience, complementing the other interpretative media in the exhibition. We therefore advise to regard the guide not as a separate medium, but think how it works within the exhibition as a whole. 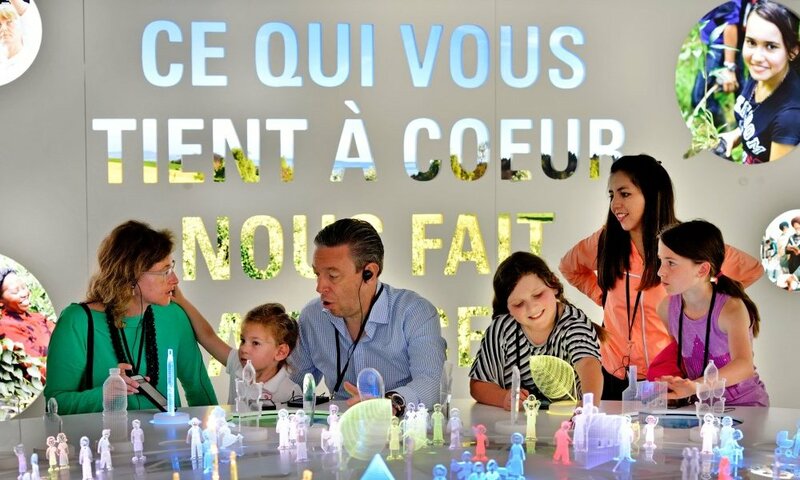 Especially for large exhibition projects, we would therefore first revise the interpretative concept and consult on how the guide interacts with the other audiovisual exhibits. The first step in developing the script and storyboard is to define the learning experience and key messages, which the guide is to support. We then decide which exhibits are included in the tour and which stories they can tell. We then set the tone and format of the tour: For some exhibitions a didactic tour might work best in terms of messages and visitor expectations, while for other exhibitions a tour with a strong storyline and narrative will be more suitable and effective. This will not only make the tour more enjoyable, but also contribute to effective memory making and emotional engagement. tonwelt originally started off as a recording studio before we developed our own hand-held devices. So we can take care of the entire production process, depending on the needs of the museum: scripting and copy editing, translating, recording and filming. What are the advantages for museums and heritage visitor attractions of having audio and/or multimedia guides (what functions can they offer the visitor/museum)? First and foremost, the audio guide is a means of interpretation. Sound remains one of the most powerful means of catching the visitors’ attention and directing them in their engagement with the exhibition. Multimedia content can support the interpretation, but it should not distract from the exhibition itself. The guide should be all about a good visitor experience. It therefore should be integrated well into the exhibition, tell interesting stories and allow the visitor to make the most of the visit. Especially for the museums we have been working with, which attract a large international audience, the guide will be the main medium of communication and make the museum accessible for the visitor. Guides can help visitors to orient themselves in the museum and with modern analytics systems show management how the exhibition is used by the visitors, ranging from the retention time, language distribution to path analysis. For some clients we have included automatically prompted surveys. This allows museums to continuously monitor the visitor experience and expectations without additional costs. The audio guide can also have further positive impact on the budget, in that it can improve the interpretation at a lower cost than the same number of guided tours would have incurred. As the guide is included in the ticket price or rented out separately, the guide actually pays its own investment costs. How do these guides improve the visitor experience and also showcase the museums’ collections and stories? Generally, the audio guide should be fun to listen to and make an exhibition better accessible. This can be achieved in quite different ways. 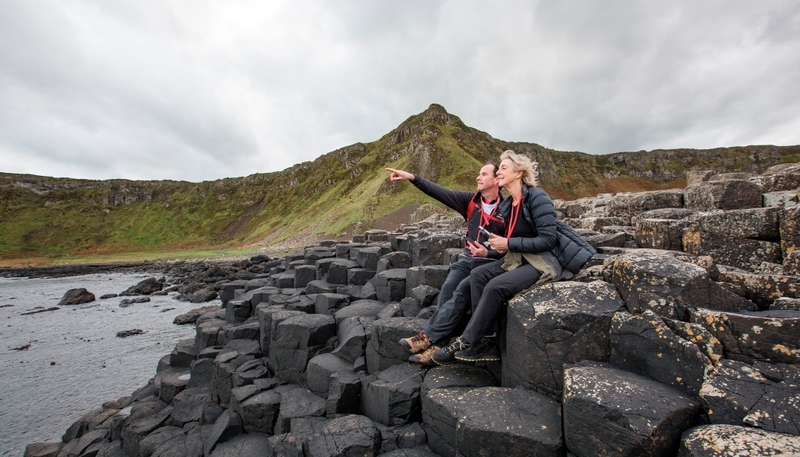 At the Giant’s Causeway, for instance, we upgraded the exhibition of the Visitor Centre by transferring the sound of the videos from the loudspeakers to the audio guide. This way we reduced the sound spill considerably and also made the exhibition accessible to more visitors. Now in addition to the English soundtrack, visitors can listen to the commentary in French, Spanish, German and Chinese. For the temporary exhibition “Opera: Power, passion and politics” at the Victoria and Albert Museum we delivered the sound experience which consisted of a seamless soundscape that was timed to the other AV in the exhibition. As the visitors moved through the space, the sound would change according to their location. From a storytelling perspective one of our most interesting projects was the tour for the Monument to the Battle of the Nations, which commemorates Napoleon’s defeat at Leipzig. Here we produced a radio play in which contemporary witness accounts retell the events from their own perspective. The result was a gripping tour, which touched the visitors emotionally and made the exhibition come to life. It was so successful that the museum made the tour available to buy on CD. What are the things museums should think about when embarking on the creation (or updating) of a new audio or multimedia guide? Get everyone on board as early as possible – the curators, the interpretation team, designers, integrators and visitor services. The guide should always be approached from two sides, from the point of the user experience and from the interpretation side. How are visitors supposed to use the guide, which functions should it have and which stories does the museum want to tell? Especially from the perspective of the user experience, an early engagement is advisable. Should the visitors key in numbers, tag a triggering signal or select an item from the device’s touch screen? Especially when the experience should be ‘hands-off’, we need to work closely with the designers to integrate the networking technology properly. But it also helps to think about the operations at an early stage, from the handing out and returns of the devices all the way to avoiding bottlenecks in the visitor flow and the position of the stop numbers on the walls. From an interpretative perspective, the tone of the tour should correspond to the other interpretative messages and supplement each other. For the wine experience centre “La Cité du Vin” in Bordeaux, the designers envisioned a guide which would not only interpret the exhibition, but also control and interact with the different hands-on objects, interactive displays and video shows as well as delivering sophisticated user statistics. After an extensive proof of concept phase we developed and adapted our hardware to suit the purpose. This included integrating our networking and triggering technology in the building and working together with the different contractors for each interactive to make sure the content was consistent. How do you ensure that technology does not overwhelm the visitors and distract them from concentrating on the exhibits? We believe that the exhibition and its exhibits should hold centre stage. The guide helps to make the exhibits and their stories accessible. Museums therefore should focus on the key messages they want to tell and the kind of experience they would the visitors like to have. When developing the guide museums should therefore always put the message at the centre and not the medium. What we want to avoid is that visitors need to engage excessively with the guide, when operating, selecting and watching or listening to content. Videos are a good case in point: We have made good experiences with short documentaries which visualise what visitors would otherwise have no means of learning about. For instance, a short film with an interview on the restoration of a key exhibit, archival footage or a video showing how a mechanical exhibit works, which for conservation reasons cannot be activated in the exhibition. Content on the guide which needs the attention of the visitor should be only made accessible at points in the tour where there is some space to do so. Just imagine a busy exhibition where the flow of visitors is repeatedly interrupted, because everyone is staring at the guide. In the same sense a user interface with too many options can confuse and overwhelm visitors. For the Mercedes-Benz Museum the guide gives the visitors for each stop the option to listen to any of four differently themed tracks: general overview, technology, society and children. The visitor only needs to point the guide towards an icon next to the object and a list appears. As the structure is consistent throughout the exhibition, the visitor quickly learns how the guide works and operation becomes intuitive. In what ways has the technology for audio and multimedia guides changed in the past five years and what innovations can we expect in the near future? High-resolution touchscreens have definitely been the single biggest technological innovation for guides. So we can now show good quality videos and graphical user interfaces (GUI). Having said that, we notice a steady if not growing demand for audio-only devices, either as hands-off experience or with traditional keypads. Location-based services, which provide content automatically help visitors to access dedicated content without too much interaction with the device. There is a growing trend to make the guides part of a communal experience, which means that the guides are becoming evermore integrated into the overall exhibition IT and AV. Guides will be used to allow visitors to enter the exhibition, use some personal information to customise the visitor experience and access the digital exhibits. At La Cité du Vin visitors can leave their contact details on the guide to access curated content according to their interests on the client’s website. This allows for an improved after visit experience and keep in touch with the visitor. 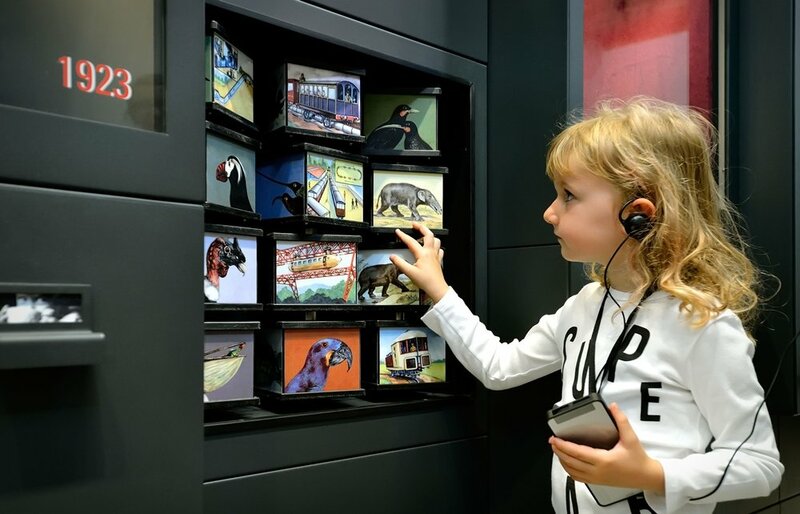 At the nest, Nestlé’s company museum in Vevey, visitors can enter a message on their experience on the audio guide, which it then shares on a video wall in the exhibition. Such close integration is only possible with dedicated industry standard devices. 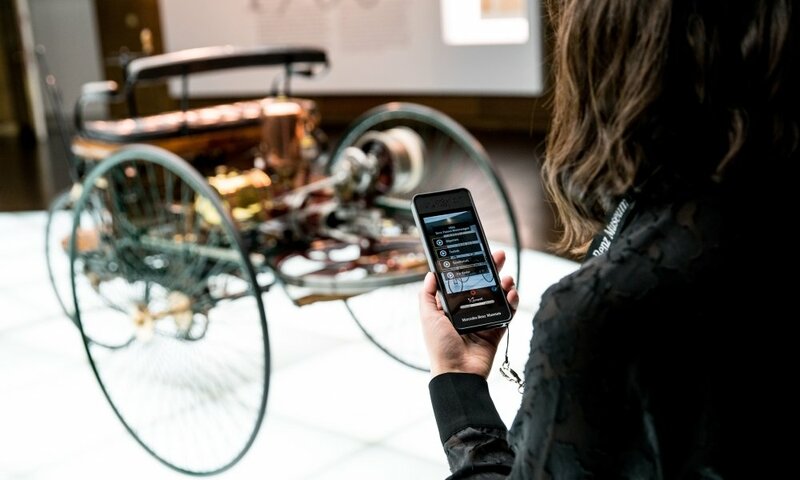 What are the different ways Tonwelt uses these technologies to provide inspiring digital guides for museums and what equipment do you work with? We follow an end-to-end approach, consisting of our dedicated audio guides, which we develop and manufacture ourselves. Together with our network technology, triggerPoints for outdoor or indoor use and for different ranges, as well as our own content management system we can create a customised solution for any site and visitor experience. Because we use standard industry interfaces, we can communicate with any AV system the museum might be using. As we consistently improve and expand our system, we are ready to adapt to any new scenario. This would not be possible if we would rely on third party parts, which would be almost be impossible to integrate and maintain over a long period, because our system is supposed to work for many years.